Chelsea defender Davide Zappacosta has suggested that if he continues to struggle for playing time, he may have to consider a January exit from the club. The 26-year-old joined the Blues from Torino last summer, and featured regularly for Antonio Conte to suggest that he had a role to play at Stamford Bridge. 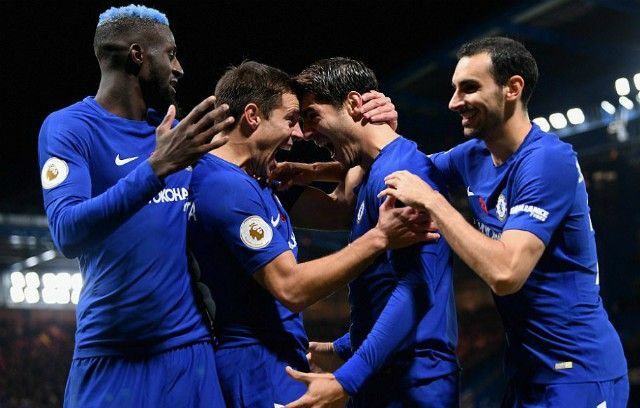 However, Maurizio Sarri replaced his compatriot earlier this summer, and having switched system and personnel, Zappacosta has yet to make a single appearance so far this season. In turn, it will naturally raise concerns for the player as to how much playing time he will be given this year, and in an honest assessment of his situation, the Italian ace has conceded that if things still look bleak by January, he may well have to consider his options as he revealed Inter were keen on him this summer. It’s a fair analysis of his situation, and so it will be up to him to impress Sarri in training to dislodge Cesar Azpilicueta at right-back with the Chelsea boss going back to a four-man defence this season. That is likely to be difficult given the Spaniard’s consistency and reliability, and so time will tell if Inter or any other interested parties in Italy focus their attention on taking Zappacosta back to Serie A in the New Year if he seeks an exit from west London.